Sumerian Religion II… The sequel to the most critically acclaimed bestselling materials from the Mardukite Research Organization – Arriving on the surface world from the underground – an amazing insight into the Anunnaki ‘alien gods’ and the establishment of human civilization famously accounted by the Sumerian and Babylonian traditions. “Sumerian Religion II: Secrets of the Anunnaki in Babylonian Mythology” is not merely another dry academic rendering of obscure history; Sumerian Religion II will continue your progressive journey into the heart of Mesopotamian Mysteries that is just as relevant and critical today as it was thousands of years ago! Sumerian Religion II is the perfect practical companion to the study and practice of any and all systems as it displays the prehistoric origins of human traditions and the development of civilization on the planet, a fundamental truth that everyone can benefit from. 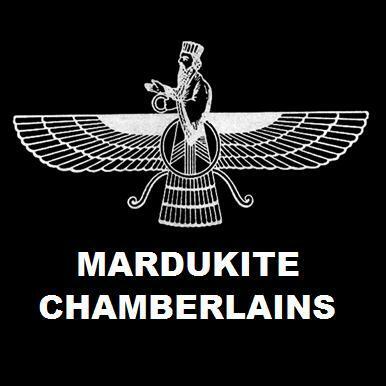 Originally designed and released in early 2011 exclusively underground for the Mardukite Chamberlains as “Liber 51”, this amazingly new revision of the classic tome stands alone – unique as it is practical – revealing the influential evolution of the Anunnaki “ancient alien gods” of Mesopotamia (Sumerian, Babylonian, Akkadian, Chaldean, Assyrian, etc. ), which the public has previously only known through nearly insubstantial communications or else pop-culture presentations that provide few answers and appear to capitalize on the unquenchable curiosities of the masses. Sumerian Religion II is unparalleled in displaying the post-Sumerian mystery tradition of the ancient Babylonians, now accessibly comprehensible to any seeker for the first time in modern history. Revealed within are the very methods by which Babylon rose to power from seemingly prehistoric nothingness and how these very real systems born in the Ancient Near East are still with us today! This highly innovative work drives the emphasis home that memory of past and future are one, and uncovering the truth of yesterday will provide a stronger tomorrow! Uncover the mysteries that lay hidden in ancient Sumer, with a message so relevant today, it is no wonder it became the greatest kept secret of Babylon!